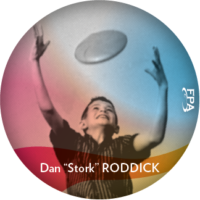 Dan Roddick began playing with flying discs when he was just a young lad of five. 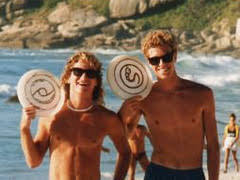 In time he would become the most influential flying disc athlete and advocate of all time. With his induction into the Freestyle Disc Hall of Fame, he is now a member of every flying disc hall of fame. That list includes, Ultimate, Disc Golf and now the Freestyle Hall of Fame. Stork teamed with Irv Kalb to win the very first Freestyle World Championship in 1975.